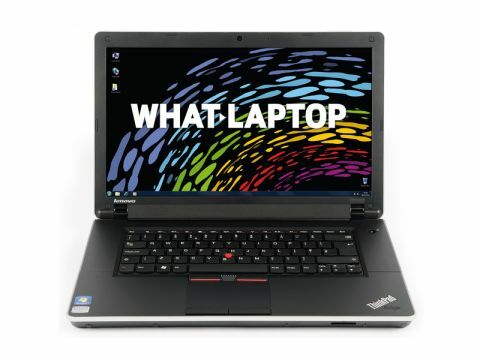 Lenovo has long been associated with business, but its ThinkPad range has transcended the world of corporate business trips and offices and is now just as comfortable in the home. The ThinkPad Edge 15 doesn't disguise its corporate heritage and celebrates it through its plain black exterior and its red 'finger pointer' in the middle of the chassis. As Lenovo's budget offering, the Edge makes money-saving compromises. There's a dedicated ATI HD 4250 graphics card, which means its capable of watching HD movies and playing basic games, but that's where the positives end. In terms of storage, there's a 250GB hard drive, which in modern terms is very low. There's still plenty of room for storing thousands of pictures and plenty of movies, but most sub-£399 laptops come with at least 320GB. The Edge also ships with just 2GB of RAM which is the absolute minimum you should look for when buying a laptop. Compared to the 6GB included in the HP Pavilion dv6-3112sa, this is very low and means that using your PC won't feel as responsive when running intensive applications such as photo editing. The final and most important item on the Edge's list of hardware sacrifices is the ageing AMD Athlon II 2.1 GHz processor, which is dwarfed in performance by the older first-generation chips found in the HP Pavillion dv6 and Acer Timeline 4820T. The impact on performance is staggering and our lab tests showed that the Lenovo ThinkPad Edge was vastly inferior to the HP in every respect, apart from a seven-minute longer battery life. Despite this, the 214-minute battery life is disappointing and there are plenty of laptops that offer eight hours' life or more for less money. The Lenovo feels solidly built and it is robust enough to withstand a hectic lifestyle, making it perfect for people looking for a business machine capable of basic office tasks. The screen is sharp, but non-reflective, making it ideal for working in bright sunshine, but it won't make your movies look their best. At 2.5kg, it's light enough take out with you on the move; however, if you spend your life carrying a laptop on your back, then a lighter option like the 2kg Acer with Core i3 is a much better option.